We always have two big parties a year. There’s our Welcome to Hurricane Season party, which you would understand if you’re an insurance adjuster, and then there’s our annual Super Bowl party. 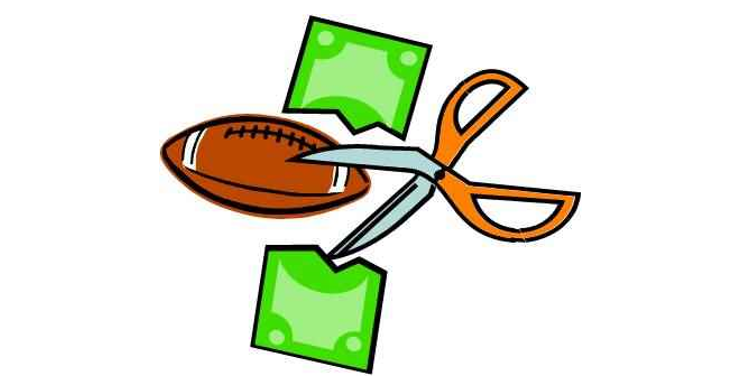 The Super Bowl party can be a tough one because it’s right after the holidays and money is tight, but if you plan the type of party we have, it can be accomplished with as little out of pocket as 100-150 bucks! Before you can have a party, you have to invite people. I usually make my own, but you can pick up a couple boxes of generic invitations at a dollar store to keep it cheap. Even better, if most of your friends are on Facebook, just do a Facebook invite. However you do it, make sure that invitations go out early. When everyone is sending out their Christmas cards, my invitations go out. Super Bowl parties are a big one and I want to make sure everyone comes to mine. If you’re worried it’s too early, think about this. Who do you usually invite to a Super Bowl party? Your friends. It’s not like a wedding invitation, where you’re inviting your 3rd cousins whom you see once every twenty years. What are the odds you won’t be talking to each of your friends in the next couple months? So don’t worry, people won’t forget about it. If you don’t get yours out early though, your friends will be excepting other invites and you won’t have everyone you want at your party. So if you’re going to do a party next year, get your invites out at the end of this one. That’s about it. If you’re strapped for cash, or won’t have that many attending, skip the keg and just leave it BYOB. Some of the food people bring is amazing! I’m always excited to see what I’ll be eating that night, ha! The serving spoon is a big one. People don’t usually think about that until you remind them and unless you have a ton of them, better give them a gentle nudge in that direction. Truth be told, I raided a restaurant supply house that was going out of business a few years ago and I probably have enough utensils to go around, but if you don’t, or don’t want a load more of dishes to wash at the end of the night, better suggest it to them. As far as my prime rib, a couple suggestions. I know I’m going to have a party every year so around September, I start looking for sales on beef. When I find one that fits my budget, I buy the rib roast and stick it in the freezer until party time rolls around. Another option, and I’ve done this before so I know it’s good, is Sam’s Club carries this brand of prime rib. I can’t remember the name, but it’s fully cooked and sold as a mini prime-rib in a package. It usually goes on special a couple times before and after the holidays and it’s amazing! All you have to do is heat it up and serve. It’s actually cheaper to buy it this way than to buy fresh and cook it up myself, and a lot less work! Makes me hungry just thinking about it. I always break out the prime rib and potatoes at half-time so I time it so it’s all ready around 7; the time around which halftime usually starts. 1) Spray crock pot with nonstick cooking spray. In medium bowl, combine soup, sour cream, chilies and cheese. Mix well. 2) Arrange half or potatoes in sprayed slow cooker. Top with half of sour cream mixture, spreading evenly. Repeat layers. Just before serving, sprinkle chips and onions over the top. I’ve also been known to just mix up the first five ingredients all together and toss them in, when I’m in a hurry, and it’s just as good that way. This recipe serves approximately 10-15 people (½ cup ea. ), so I usually double it. We normally have between 25-30 people at our parties. If you have more than that, you might want to set up a second crock pot and make another batch. If you don’t have two crock pots, just borrow one from a friend. His or her invite could read, “Bring your crock pot!” (just kidding :)). Let’s talk about plastic wear and decorations. For a Super Bowl party, you don’t need too many decorations. I have paper footballs, bric-a-brac and the like, that I’ve collected over the years, that I hang and put out on tables, around my house. One year, the day after the Super Bowl, I went to one of those party stores and they had a bunch of football decorations, cloth hats, clappers, etc. on clearance so I bought up a ton of that stuff and break it all out year after year. Might be an idea for next year. Just head out to your local party store the day after the Super Bowl and see what you can find. I usually wait until the teams have been announced to get my plastic wear, paper plates, cups, balloons, streamers and the like. I do this so that I can have my décor match the team colors. For instance in 2007, everything was two hues of blue, silver and orange for the Colts and Bears match up. If I have extras at the end of my party, I just store them away for another year. You never know who the next match up is going to be and what colors you’re going to need so if you have the room, put the leftovers in storage. Might save you a couple bucks in the future if another team has the same color or the same one plays again. I just hang the streamers and balloons, scatter my football trinkets, put out the colorful plates, cups and napkins, and viola! Instant décor! 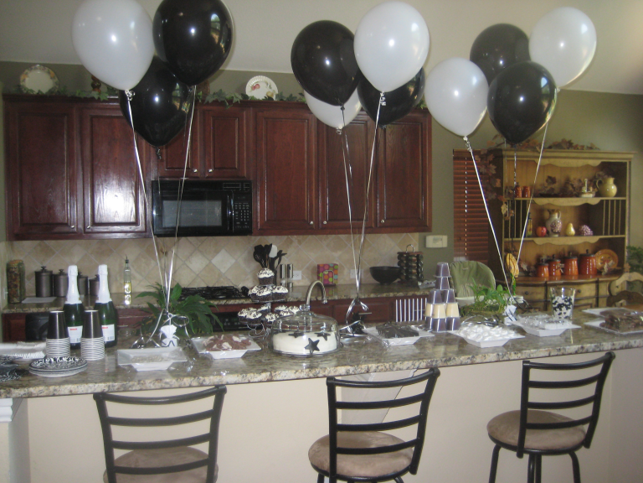 You don’t need much and if you have a party every year, you can gather things gradually. I get a lot of my paper stuff right at the dollar store. For hard to find items, you can usually find the best prices at those party stores, but I mainly live at the dollar store-type places because the selection is actually better than you’d think. 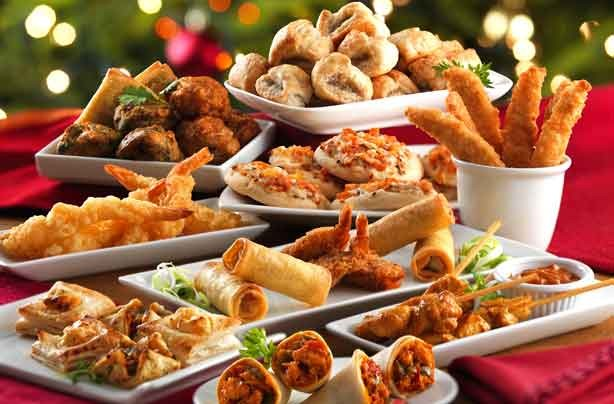 If you’re thinking of having a party, or planning one for next year, the dish-to-pass idea is a great way to go. Also a heck of a lot easier on the budget! Since you’re probably a stockpiler, you are working on a stockpile, right? Add the items you are going to need to your list and start gathering stuff for next year’s party. It’s never too early to start planning and if you don’t want your wallet to take a hit, it’s never too early to start buying up the stuff you’re going to need. As far as this year, call your friends, throw together what you can, tell everyone to bring something to eat and/or drink, and enjoy the Super Bowl with your friends, Wizard Michele-style! Thanks 🙂 Glad to be back in some respects, others not so much, ha! I do love that there’s a Walgreens, CVS & Publix on just about every corner though, lol! I love party’s…great ideal, thanks so much…. great ideas! thanks for the post! Great ideas!! I love to throw parties and I love planning them!! I can’t wait to start and you cn be sure — am going to try those crock pot potatoes!! THanks for the post!!! Thanks for the ideas, the Prime rib sounds yummy! !